Tonelli’s philosophy is based on a combination of tradition and innovation, along with essential elements that, combined with the passion for this extraordinary material, contribute to promote the glass culture. 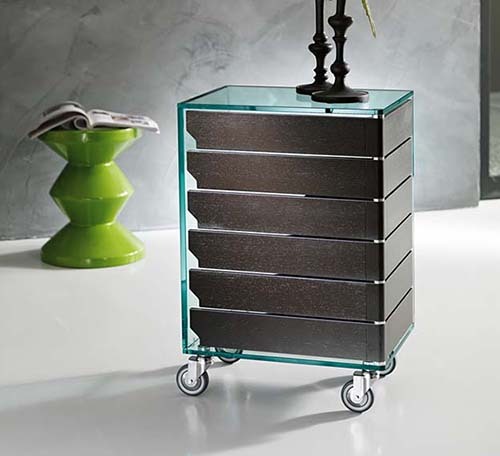 Established in the 80’s, Tonelli specializes in the manufacturing of glass furniture and accessories. 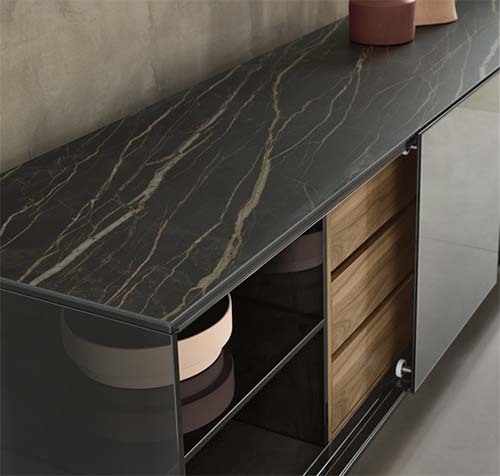 Driven by a constant evolutionary tension Tonelli stands out for its natural capacity of innovating itself and its products, experimenting new forms of creativity, looking into new ways of living and always investing in research and development. Back in the 80’s Tonelli earned the credit of revolutionizing the furniture industry by introducing a new technique of welding straight glass sheets, that makes use of a structural glue consenting the welded parts to conserve their transparency and the crystal at the juncture to be more resistant than in other parts. Over the years, the process has become more refined reaching extremely high-quality standards. Tonelli has drawn on the antique Italian glass tradition, artistic-cultural heritage of inestimable value that they preserve and safeguards to this day, entrusting the complex manufacturing of glass to the hands of skilled craftsmen.